Currently, there are more childless seniors in the United States than ever before. According to census data from 2010, nearly 19 percent of women had not given birth to a child, compared to approximately 10 percent in 1980. Although this trend has allowed more women to pursue careers or other interests, there are now many seniors without children who are concerned about their futures. Adult children are often called upon to provide care or assistance to their aging parents. Although not all may be family caregivers, they likely check in on their parents on a regular basis, or make arrangements for home care. 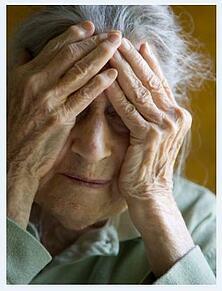 With childless individuals, the responsibilities of care may end up falling on the senior’s shoulders alone. Without children to choose from, many seniors wonder who the best person will be to make their health care and financial decisions. Couples often choose their mates, and single persons often designate siblings. The problem with this strategy, however, is that selecting people close to you in age carries a risk that they will pass away before you. Experts recommend choosing a backup if your first-choice proxy is an older person. Seniors should be wary of strangers who volunteer to handle financial matters, and only impart personal information to trusted individuals. “What if no one finds me?” This horrifying question came to Marriane Kilkenny as she lay at the bottom of her home’s staircase after a fall several years ago. Although Marriane was found and rescued, the accident prompted her to make new living arrangements. Like Marriane, many seniors choose to remain living at home as they age. But with innovative technology like ClearCare’s homecare system and homecare software, seniors can stay safe and comfortable as they receive part-time or full-time assistance from a home care provider. A dependable homecare system gives seniors the opportunity to maintain their independence, even through illness or disability. If you know of a childless senior who worries over an uncertain future, help him put his fears to rest by recommending ClearCare’s homecare system and homecare software. Even when children are not in the picture, seniors can still receive quality care and support.